“Don’t stare at the sun”… but what about your computer? Like UV rays from sunshine, blue-violet light radiates from the digital devices we use daily. Some eye experts caution, these high-energy waves are not as safe as you might assume. That’s why Crizal developed Prevencia. Crizal® PrevenciaTM blocks short wavelength Blue-Violet light. Light in this portion of the spectrum contributes to the development of AMD, age-related macular degeneration, one of the leading causes of blindness that we screen for during eye exams at Rosen Optometry. Reduce exposure to damaging blue light with specialized lenses. Prevencia lenses still allow the beneficial light pass through, like blue-turquoise which aids in overall well being, sleep-wake cycles and basic mental functioning. Crizal® PrevenciaTM provides eyeglasses that maintain excellent transparency and, like all Crizal lenses, cut glare and reflections to provide better quality vision and comfort. Computers, tablets, and smart phones are known to radiate a lot of blue light and can cause eye strain and fatigue, especially with prolonged use. People who wear Crizal® PrevenciaTM while using these devices may notice reduced symptoms of Computer Vision Syndrome. 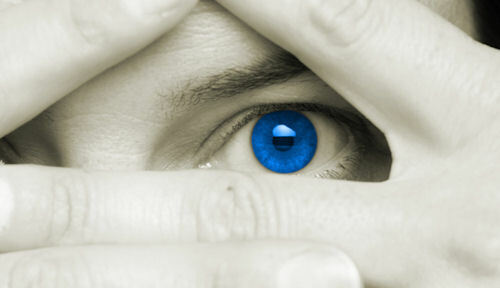 If you are in the St. Louis, MO area, ask Dr. Steve Rosen about blue light eye protection today.